Carol’s cold case has barely begun to thaw when Andrea Kramer shows up at Lizzy’s door. 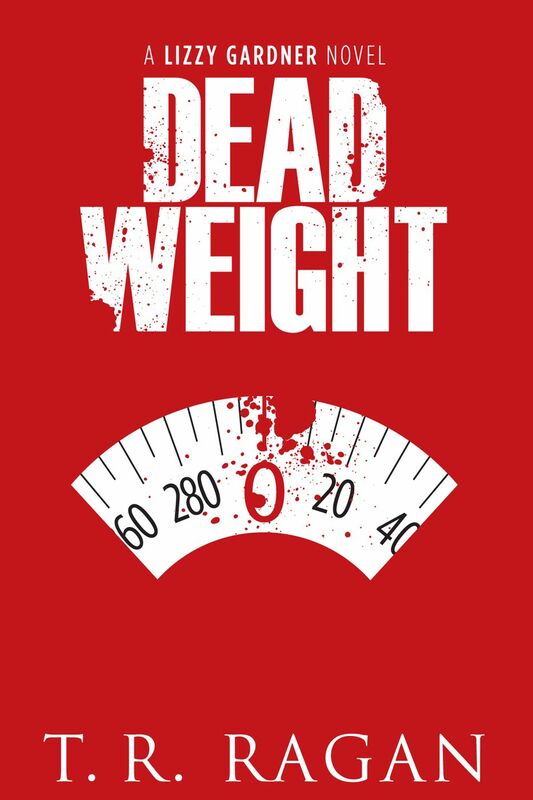 Andrea’s sister, Diane, has been missing for months, and she’s convinced a charismatic weight-loss guru—part Tony Robbins and part Richard Simmons—is responsible. Diane was obese, but could her obsession with losing weight have led to her disappearance? Decided to check out more of the books in this series (I bought almost all of them on a monthly special on Amazon). I was maybe not the biggest fan of the first, but Lizzy’s past was an interesting enough motivator for me to check out more. Well. Well. Well. Uhm, yeah. This wasn’t bad, but it was essentially more of the same. 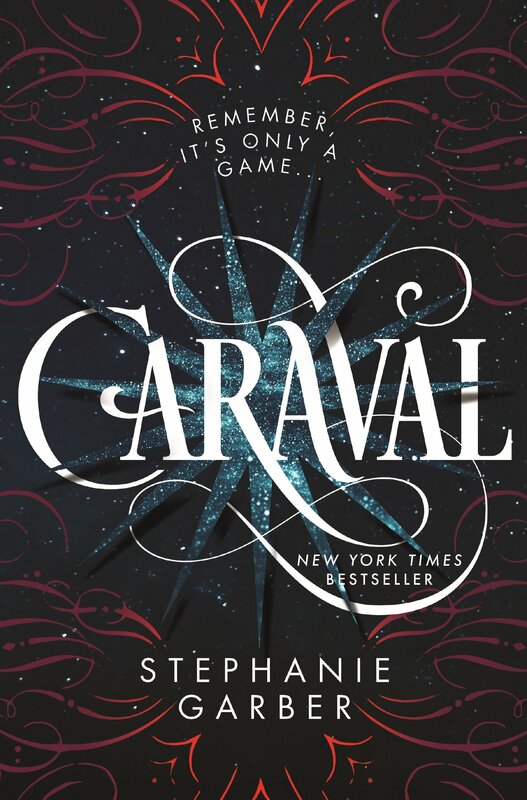 The romance that was so hugely built between Lizzy and Jared in the first book is dragged up time and time again in this without actually going anywhere, and then we also need to deal with Lizzy’s fear of so many things. Then there is Hayley, who is not adjusting to her new life and carries a lot of bitterness and resentment and is incredibly unlikable here, even though I liked her well enough in the first. I understand her anger, just got over reading about her silly inward fights. The competition and edginess between Jessica and Hayley was something I liked. I didn’t like the pacing for this – it was messy. Lizzy is working two cases, and yet neither case feels like anything as the book is just all over the show. The one case definitely took precedence, but they both felt hollow. The saddest thing about that is that both cases are actually rather interesting, just not handled really well. Well, considering I have all the others to check out, I will go ahead with that at some stage. I don’t think these are the worst books, and they are decent filler reads that zip along and don’t require too much investment, and that’s decent at least. SYNOPSIS: Two girls go missing, decades apart. What would you do if one was your daughter? I don’t know. This book. I really thought it was going to be so more than it ultimately was, and so many people raved about it. I should have known from early on it wasn’t going to be my jam. I just felt it in my bones, and yet I foolishly soldiered on. The completist in me. Pfffffff. Right off the bat, the characters. Oh. My. Gosh. I resented them all. The only one that was nice was Jim, the only one I didn’t mind reading about. It also didn’t help at all that none of the characters ever had their own voice. Which is frustrating as hell because every chapter is from someone else’s perspective, and the only person you can distinctly pick out from the pages is Maggie. This was really maddening. Like really, really frustrating. Not liking any of the characters didn’t help at all, because I couldn’t give a damn about their situation, the present, the past, nothing, and this book is all about that. I was also not a fan of the writing – it was really stinted and didn’t flow nicely. The story gets told, but it comes across as erratic, and the plot twist that comes along later is not delivered super smoothly at all, it is something you sort of wonder about, especially with the plot device that the author is deliberately trying to shove down your throat, so insistently that eventually you are wondering if she would be so bold as to be so honest. I did not appreciate the chapter division – like the perspective from a multitude of characters. This style can work for some books, but it didn’t really work here, and I think that is primarily because the characters all ran into each other, there were no major differences between them, and it was hard to keep track of who was who as they all sounded the same. Also, all the characters being equally messed up, selfish and overall meh contributed toward this. 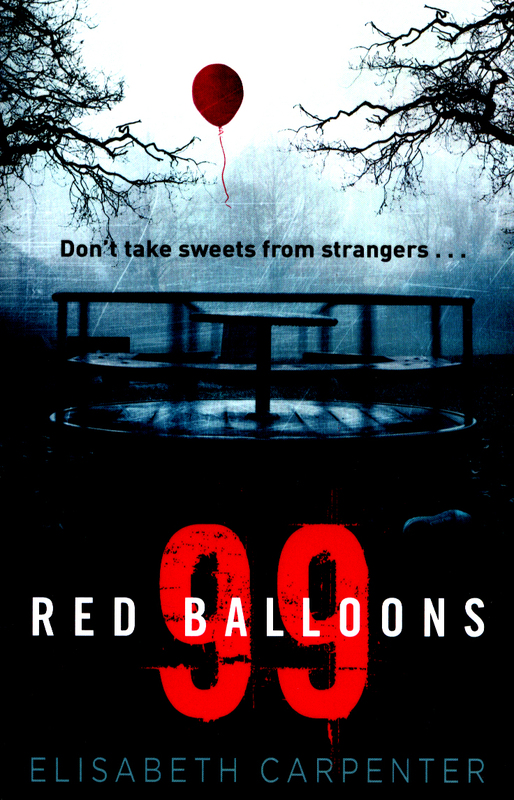 99 Red Balloons also felt like it was going around and around in circles, not really going anywhere – it felt like an awfully long read. I feel it could have been a lot shorter than it ultimately was. Anyway, I don’t think I need to state the obvious that I wasn’t bowled over by this. Seems a lot of people liked it, but it just didn’t work for me. Not the worst book I read this year, but it was really generic for me at the end of the day. I would say skip, but that is just me. SYNOPSIS: Elizabeth Gardner (Lizzy) is seventeen-years old when she tells her parents she’s going out with her girlfriends. Instead, she meets up with her boyfriend, Jared Shayne. As she walks home beneath an inky black sky, her perfect night becomes her worst nightmare. I picked this up recently on an Amazon deal, and figured it might be worth a read. Not wasted money, that’s for sure, but a lot tamer than I thought it would be. Well, I suppose it was never going to be a Karin Slaughter novel (so few are), but I didn’t expect it to be so romancy. For reals. But okay, we will talk about all these things. The concept of a girl being trapped with a serial killer for two months before escaping is quite heavy, and there could have been so much more material to work with there. Ragan plays it safe, however, and gives us just enough for our imaginations to cook up the rest of whatever happened to Lizzy while she stayed with Spiderman. The aftermath is also never really addressed, which would be fine, but more about her parents and what happened after would have been something. Also, Cathy’s lack of empathy and support for her sister is shocking. An issue I had with the book is how one dimensional all the characters are, which is a pity. The only characters you can really feel for are Hayley and Lizzy, no more, no less. Oh, and Jess also had quite a bit going for her. Jared, the love interest, the boy who carried guilt about what happened to Lizzy as well as a torch for her all the way into his adulthood never really becomes real, if that makes sense. Jimmy, the FBI agent who has worked the longest and hardest on Lizzy’s case is a side character who rarely gets brought up, and is supposed to have such a close relationship with Jared, yet it is never showcased. I liked the fact that the book was a really quick read, and despite being predictable and not really shocking, it definitely keeps you interested enough to see where it all goes. I felt that the ultimate explanation we got for the Spiderman and his antics was a bit of a cop out, and was also glossed over so quickly. I was not particularly thrilled with how quickly Jared and Lizzy picked up some sort of a relationship, despite having been in one when she was a teen and abducted. It just felt a little far fetched and forced for me. The logic was questionable, and the writing sloppy at the best of times, too. 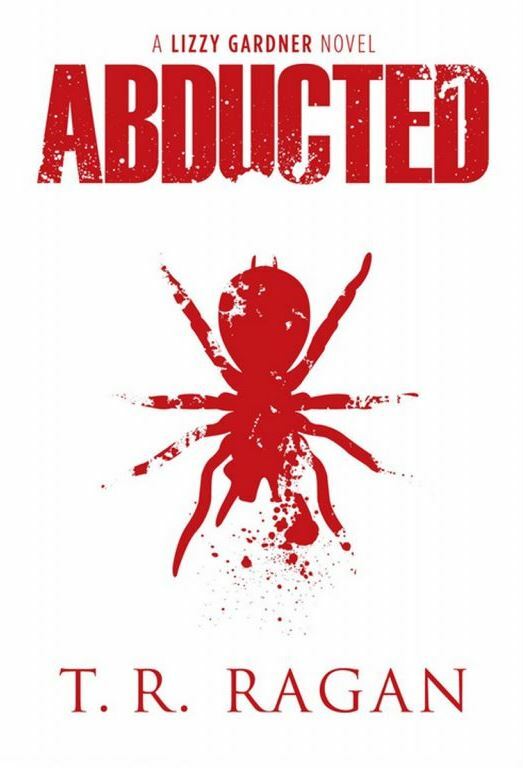 Abducted may not be the strongest entry to a series of books and is predictable, but it was enough to entertain me (and frustrate me with the ridiculous logic) and convince me to give the next book a shot to see how it works out. You know, I watched this as part of the box set that Natasha got me for Christmas. I initially thought that it was the remake for The Last House On The Left, and when we started watching I realised they were two totally different films, so it was new to me. I know that Cinema Parrot Disco raged about this – she is no fan. Me? I thought that it was a decent albeit stupid popcorn film. It’s not revolutionary and great, though it features some pretty decent performances, but I can think of a huge selection of other movies that are a bigger waste of time. 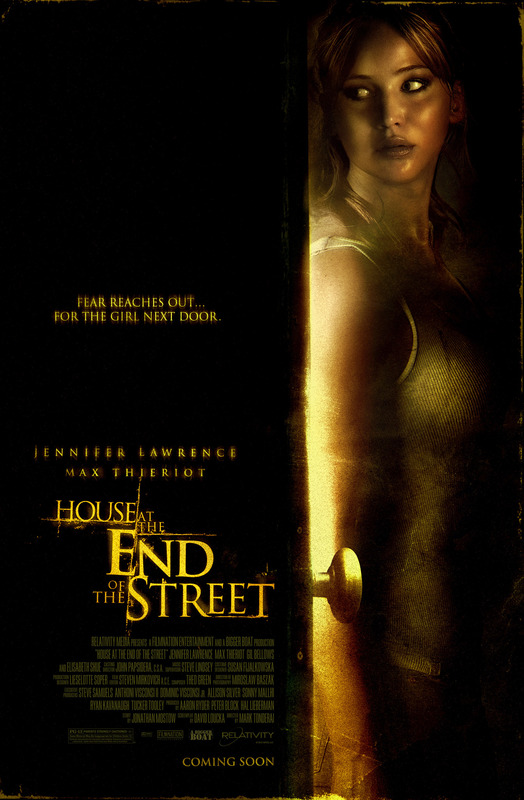 House at the End of the Street suffers from being generic, bland, and silly. It isn’t necessarily boring, and there are aspects to it that had so much potential to scare and get under the skin, make you think a bit, and yet those golden opportunities were passed up. There were some twists to it, one that I didn’t quite expect, but very few of them were pulled off with the finesse that they deserved. The movie never really quite hits the highs it wishes to. I thought that Jennifer Lawrence and Max Thieriot worked very well together. I also enjoyed Thieriot’s performance, and think that he is an actor that performs quite well but doesn’t get noticed much. He has potential for certain things, so it’s always nice to see him in something. The characters here are a little annoying, like the way they go about things is quite illogical. I think the safest way to look at this movie is to see it as a horror movie for young teens… I think that is the only way that you won’t absolutely hate it. As for me? I thought it was alright and not the biggest waste of my time. While unoriginal and lacking in places, there are other aspects that redeem it somewhat, and hence I can live with it. Well, here we are, at it again. John McClane lives in the wrong place, wrong time scenario forevermore. Anyway, we are back at Christmastime, and things are just not good over the holidays for the McClanes like… ever. Bruce Willis is back and kicking as the ever-sarcastic McClane, and I still reckon he was an awesome pick for the role. Al appears in here, though only momentarily, and I did miss the banter between McClane and Al, but it was to be no more. Pity. The story wasn’t very in depth or revolutionary, and at the end of the day, while entertaining at the time, it is rather forgettable (I can hear those torches being lit and pitchforks being hauled out, but it is true). 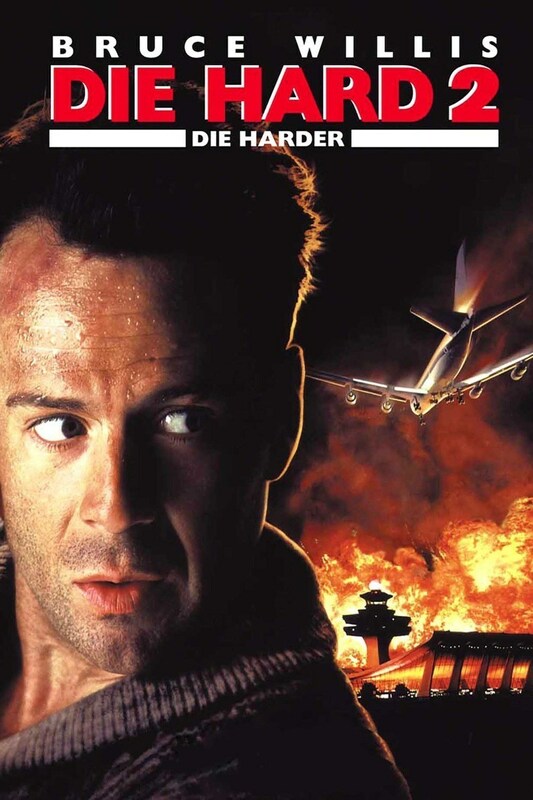 Die Hard 2 is one of those action movies that has the explosions and gunfire and all those aspects, so it ticks the boxes, but it isn’t exceptionally memorable or smart. There were interesting characters and annoying characters, but the plot itself was so thin at the end of the day, and isn’t quite as entertaining as the first. The villains are also completely bland, but then topping Hans Gruber will be no simple task. A big part that makes Die Hard 2 work is how Bruce Willis embraces his role of John McClane. Just to see him having some goofy fun is alright. It takes a really long time for anything to actually start happening, so that already counted against it. It wasn’t a slow burn, it just wasn’t doing anything, then went for over the top overkill. It was a little bit too obvious about things, which also detracted. While not a terrible sequel, it is certainly not as great as it was ultimately hoping to be. I don’t really have much more to say about it, as I will just continue to repeat my sentiments.